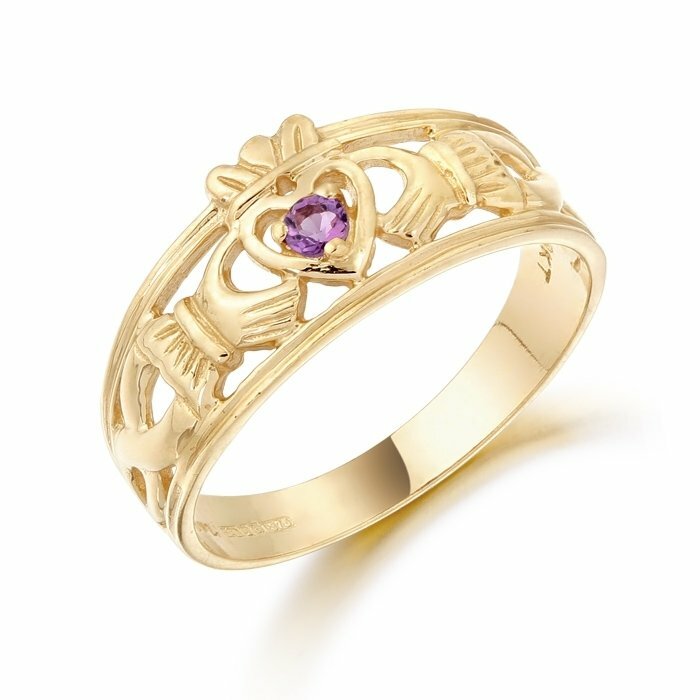 Irish Jeweller’s interpretations of Ireland’s beauty, complexity of design and quality workmanship are captured in this Ring that are included in their extensive Celtic & Claddagh Jewelry collection. This Claddagh Ring combined with the endless knot design on the shoulder is prevalent in Celtic art and craft because of their complex meaning and simple form and they take shape here as distinctive, delicate and beautiful combination of Claddagh and Celtic and further enhanced with CZ. The mystery and connectivity to the forces of life are the perfect choice for a sophisticated statement and endurance of true Irish culture. This 9K Gold, Claddagh with Celtic shoulder Ring is beautiful and will shine and compliment any outfit or at any occasion. This Claddagh ring is a fine representation of one of the world’s most beloved and easily recognized symbols of ‘enduring love.